The original photo does not have the text on the left side. What does it say? I have removed this from its frame. I assume its some type of cheap tourist item. 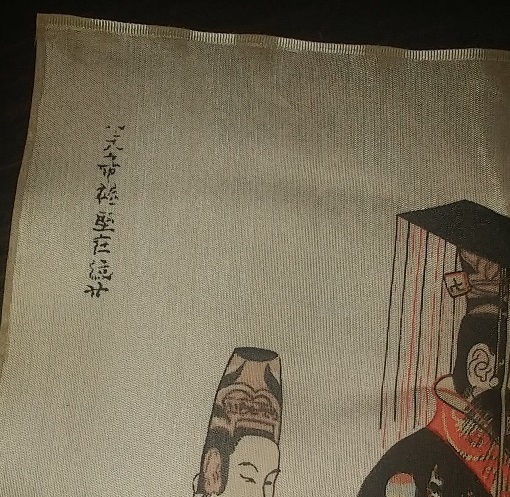 It is printed on some type of nylon cloth.